TEHRAN, May 16 (AFP) – Brazilian President Luiz Inacio Lula da Silva was Sunday meeting Iranian leaders at the start of a visit the West says might be Tehran's last chance to avoid new UN sanctions over its nuclear programme. Ahmet Davutoglu, the foreign minister of neighbouring Turkey, the other key mediator in the standoff, meanwhile flew into Tehran on Sunday and was expected to join the talks, the Mehr news agency reported. Lula, who heads a 300-strong delegation, was officially welcomed by Iranian President Mahmoud Ahmadinejad in Tehran Sunday morning before the two leaders went into the talks, Iranian news agencies reported. 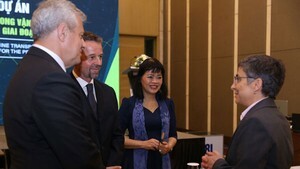 A number of trade agreements were to be signed later in the day. Lula is also expected to meet Iran's supreme leader Ali Khamenei, who has the final say on all key policy issues. 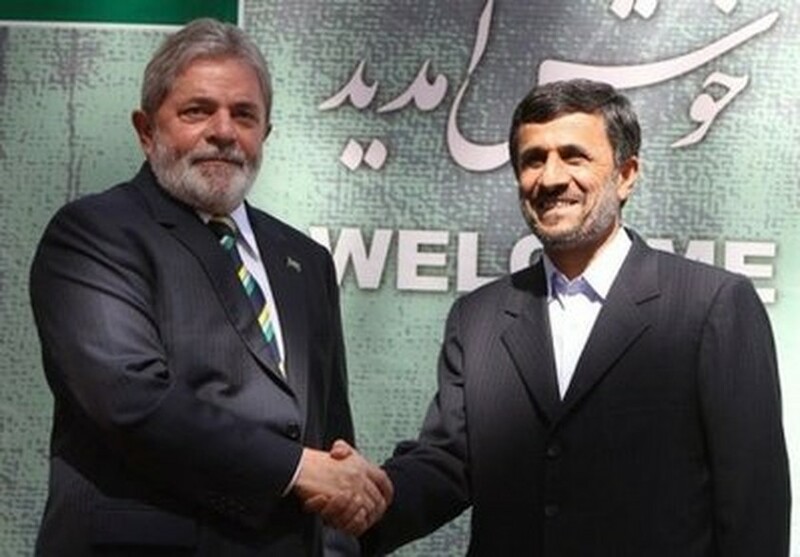 Ahead of his trip, Lula told reporters in Moscow he was "optimistic" and hoped to be able to persuade Ahmadinejad to reach an agreement with the West. But the United States and Russia have already said the chances of success are weak, while Turkey appears to have given up any hope of its neighbour avoiding sanctions over its controversial nuclear drive. Brazil and Turkey, non-permanent members of the UN Security Council, have so far resisted US-led efforts to push through a fourth set of sanctions against Iran over its failure to heed repeated ultimatums to stop enrichment activity. Turkish Prime Minister Recep Tayyip Erdogan said on Friday he was unlikely to go to Tehran over Iran's failure to confirm a commitment to a UN-brokered deal backed by world powers. A Turkish diplomat on condition of anonymity however said on Saturday that Foreign Minister Davutoglu had received a call from his Iranian counterpart, Manouchehr Mottaki, "who invited him to come to Tehran as soon as possible, preferably to coincide with the visit of (the) Brazilian president." Iran has rejected a UN proposal to enrich abroad the uranium it says it needs for a nuclear research reactor. The West fears Iran wants highly enriched uranium to make an atomic bomb, a charge Tehran vehemently denies. "We have received many proposals and we are considering them," Iran's atomic chief, Ali Akbar Salehi, was quoted as saying on Saturday in local media. "There is a willingness on both sides to resolve the problem and things are moving positively," he added without elaborating. But Foreign Minister Mottaki indicated that Iran was still not ready to budge from its dogged position. "We hope that the parties (involved in the talks with Iran) will bend to the realities and choose the right path," Mottaki was quoted as saying in reports on Saturday. Russian President Dmitry Medvedev has said that the Brazilian president's talks with Iran "may be the last chance before the adoption of appropriate decisions within the framework of the Security Council." That came after a senior US State Department official told reporters on condition of anonymity that the Lula visit was being seen as "perhaps the last big shot at engagement." The White House said President Barack Obama and Medvedev had discussed Iran by telephone this week and agreed to step up negotiations on a new sanctions package. Russia's agreement would leave China as the last remaining holdout among the five veto-wielding permanent members of the Security Council, bringing the prospect of sanctions much nearer.